I’m sure you’ll agree that fitness has become quite the buzzword. More people are becoming conscious about maintaining a physically fit body. While a large portion of the group prefers going to the gym, many prefer to workout in their homes. The comforts of a home gym are many. You can work out anytime, however long you want. Building your home gym is not easy. There are so many pieces of fitness equipment to choose from, and it’s not possible to afford everything. The best choice for strength training is the lat pulldown machine. This strength training cable exercise machine will help you perform a wide range of weight and resistant workouts. It offers a large number of exercises like pull-ups, triceps pushdowns, lat pulldowns, cable curls, etc. For the newbies in town, here’s a little heads up about lat pulldown machines. The lat pulldown machine is a strength training machine which comes with a padded seat, and a long bar hanging from an upper rod along with a thigh support. While exercising, you will have to sit on the seat with an upright torso, hook your thighs under the support pads and workout by pulling down the bar to your chest or your neck. I am here to tell you about the top 5 lat pulldown machines available, the brands which manufacture the best of the lot and everything else you need to know about lat pulldown machines. The fitness industry has come a long way in the past few years. As more companies are getting into the fitness manufacturing industry, it has become tough to choose the best brand. I am here to recommend the best brands in the market which manufacture lat pulldown machines. XMark Fitness is known for its high-end, comfortable and durable products. The focus of XMark is mainly on ergonomic design, attention to detail and in providing fantastic customer service. These aspects have marked XMark’s place in the fitness industry. XMark stands behind every piece of equipment it produces by providing a generous warranty for the entire line of products. It manufactures affordable products without sacrificing the quality. All of the XMark products are bolted on feet which makes them more durable and less skid resistant. I am sure this name would ring a bell. 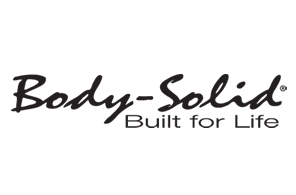 Body Solid Inc. is a leading manufacturer of home and commercial gym equipment. 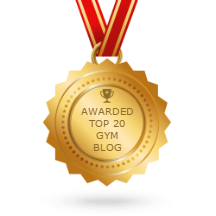 It has been around for 20 years and has a wide range of fitness products starting from weights and dumbbells to machines. It sells products to over 100 countries around the world which makes it a leader in the fitness industry. It provides great quality gear and excellent customer service. 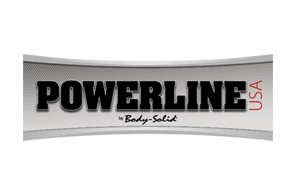 Powerline is a brand which comes from Body-Solid. The core values of Powerline are in line with Body-Solid which is to produce good value, high-quality fitness equipment. Powerline fitness equipment is supplied to police and fire departments, sports teams and fitness centers all over the world. 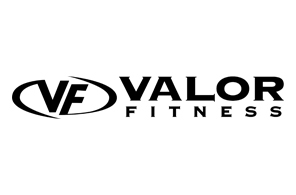 Valor Fitness is a subsidiary of the famous Valor Athletic Inc. It is the best solution for home and personal training studios. Providing an impeccable online shopping experience, Valor produces fitness machinery and accessories for home gyms. It is known for selling high-quality and durable products at an affordable price. The Giant Econo Lat Machine is produced by Yukon fitness. It has made its name by using top-quality materials and careful craftsmanship. 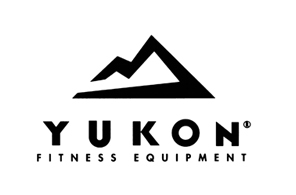 All products manufactured by Yukon fitness are stable, durable and effective. The mission of Yukon fitness is to bring the best value and not produce cheap quality pieces of machinery. The Lat pulldown machine is a versatile one and can help you reap extraordinary benefits. You can stretch, contract and expand the muscles of your upper body in a way which is more efficient than lifting free weights. Choosing the best machine is not easy! I am here to help you make a wise buying decision. Here are 3 categories of the best lat pulldown machines available in the market. Nothing can beat the XMark Lat Pulldown and Low Row Cable Machine if you are looking for a high-end lat pulldown machine. The XMark Lat Pulldown and Low Row Cable Machine is considered the most professional lat pulldown machine. With ultra-robust frame and accessories, the XM-7618 comes with a limited lifetime warranty. The best part of XMark is that it is compatible with both Olympic and standard weight plates. We look into the features of XMark in detail in the top 5 section. The Powerline PLM180X lat machine gives you the best for your buck. Costing $258, this machine has a tall design which makes it suitable even for people who are above 6 feet. It comes with a 10-year warranty on the frame and a 1-year warranty for all the parts. Powerline PLM180X is the most popular among lat pulldown machines because of its affordability and the variety of workouts it supports. Valor Fitness CB-12 is the overall best lat pulldown machine as it comes at a reasonable cost and also has a compact design. It is one of the highest rated lat pulldown machines as it a well-built, solid and smooth operating machine. It is considered to be a great addition to any home gym. The best part of Valor Fitness CB-12 is its price. 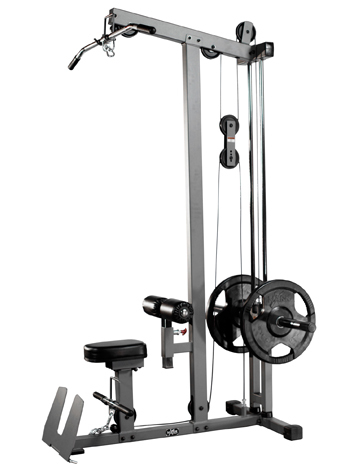 Costing only $266, this lat pulldown machine is super adjustable with locking pull-pins for easy adjustments. If you are looking for a more elaborate explanation of the features of lat pulldown machines and a look at the top 5 lat pulldown machines, here you go! The Valor Fitness CB-12 Plate loading lat pulldown machine bags the first place due to its affordability and ease of use. The frame of this equipment is made of steel tubing and has seat pads which can be adjusted according to the user’s height. The machine has high tension pulleys ensuring long life and good performance. It has an adjustable front foot plate for curls and rows. Valor fitness CB-12 is compatible to perform a number of exercises. Arm curls, seated row, ab crunches are some workouts you can try. CB-12 is easy to move around as it weighs only 67 pounds. The XMark Commercial Lat Pulldown and Low Row Cable machine is a high-end lat pulldown machine which has top quality craftsmanship and durability. The frame of the equipment is made of 11 gauge steel which attributes to the machine’s durability. The cables are nylon coated and are of high quality. The machine is extremely reliable to perform a variety of exercises. The XMark has skid resistant feet, a 3-inch duracraft cushion and a scratch resistant powder coated finish. 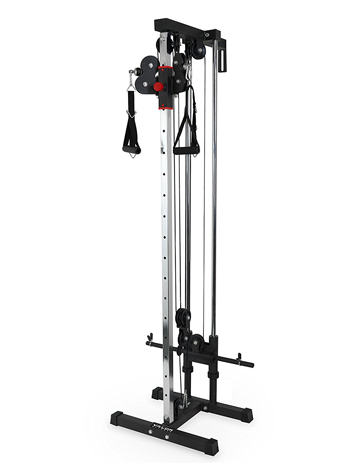 Supporting both high and low pulleys, the XMark can be used to perform high and low exercises. It comes with bars using which you can perform a variety of workouts. Powerline PLM180X is a simple and lightweight machine which has a heavy gauge steel construction. The steel makes the machine sturdy and robust. To make sure that you keep your position during the exercise, there is an 8-inch foam roller that will keep you locked down. It can also be adjusted to two different positions. The patented nylon bushings in the pulley ensure smooth operation. The PLM180X allows a number of upper body exercises such as upright rows, seated rows, and lat pull downs. The design of the machine allows a wide range of extension and contraction. The Body Solid Pro lat machine is one among the best lat pulldown machines and is made of top quality materials. It comes with lots of extras and a wide range of easy adjustments. 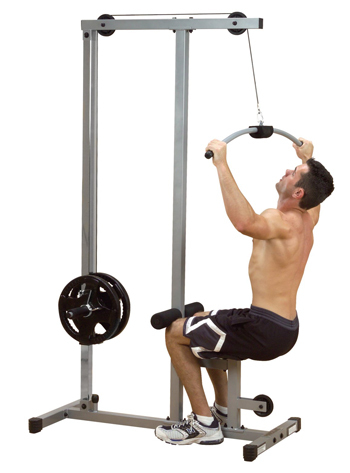 The plate-loaded lat pulldown machine has both high and low pulleys which can be adjusted by changing pins. The machine has a comfortable seat pad, a lat bar and straight bar, a multi-position leg foam roller and diamond plate stabilizers which ensure balance and stability. The lat pulldown machine comes with no cable change technology which makes the transition between the high and low pulley exercises effortless. You can workout for long hours without stress and stiffness in your muscles. The Body-Solid pro clubline lat pulldown machine is one among the high-end lat pulldown machines available in the market. It has a pulley which is placed overhead to allow maximum stimulation of the back and shoulder muscles. The frame is made of heavy duty 11-gauge two by four-inch tensile steel. It also comes with 'no cable' technology making it extremely efficient for the transition. The machine has a unique styling and compact design offering an exceptional performance making it a stand-out machine. You can choose a medium, wide or close grip as the lat pulldown bars are extra long. The machine comes with a 210 plate loaded weight stack. This phase is when you are pulling the bar towards the chest or the neck. During this phase, there is shoulder adduction, shoulder horizontal adduction, elbow flexion, scapulae downward rotation and retraction. The concentric muscle contraction occurs here, which is a muscle exerting force while shortening. This phase is when you are returning to the starting position. In this phase, there is shoulder adduction, shoulder horizontal adduction, elbow extension, scapulae upward rotation and protraction. The eccentric muscle action happens during this phase, which is when a muscle exerts force while returning to its natural position from a concentric position. As already mentioned, lat pulldown mainly concentrates on strengthening the back muscles also known as Latissimus Dorsi. The Latissimus Dorsi also known as Lats is one of the largest muscles in the body. It is located on either side of the back bone and sweeps diagonally upwards across the back. It originates from the lower spine, the lower ribs and lumber and gets inserted into the bicipital groove. The lats when flexed move the arms which involve three motions. First one is an extension, where your shoulders are opened resulting in the movement of the arms in the backward direction. Then there is adduction, where your shoulder and arms come close to the midline of the body. Finally, there is the medial rotation where the arms get rotated inward. A common question which everyone has is, what muscle groups do the lat pull downs get, they primarily activates the lats. The following muscles also get activated. Trapezius: Next to the lats, the trapezius is yet another large group of muscles in the upper back which stabilizes the scapula, supporting the arm. This triangular muscle originates from the middle of the spine out to the shoulder and neck. Rhomboids: As the name suggests this muscle group is rhombus shaped and lies on each side of the upper back. There are two groups, the rhomboid major and rhomboid minor which help in the retraction of the scapula. Serratus anterior: This is the muscle which covers the surface of the ribs. It begins from the first rib and continues to the eighth rib. It originates from the sides of the chest and moves to the scapula. Posterior Deltoids: The muscles which lie on the backs of the shoulder enabling the downward pulling motion of lat pulldown are the posterior deltoids. Pectoralis minor: The thin triangular shaped muscles located at the upper part of the chest are the pectoralis minor. They help in drawing the scapula up. The lat pulldown machine comes loaded with benefits. Shoulder strengthening: The lat pulldown strengthens the rotator cuff muscles, deltoids, and infraspinatus which contribute towards the strength of the shoulder. Biceps strengthening: The bicep muscles brachii and brachioradialis also get worked when you perform a lat pulldown. Back strengthening: The upper and lower back muscles get a good workout when you are pulling against resistance. The Trapezius and rhomboids are the main targets here. More Muscles worked: You can exercise a large number of muscles in a lat pulldown. Shoulder, scapula, chest and back, all get a good workout. A Variety of Exercises: The lat pulldown machine is a versatile one. Using various handles and grips you can do a whole lot of exercises using this single machine. The Lat pulldown might seem like an easy-to-do exercise but it is essential to do it the right with optimal form. Here are a few best tips for the perfect lat pulldown workout. Sit with an upright torso which means your hips and knees should be at 90 degrees with your feet flat on the ground. Adjust the pads so that your thighs are underneath them. Grasp the bar with your hands shoulder-width. Slightly lean back from your hips and pull the bar in front of your face to the top of the chest and then hold the position. Get back to the start position slowly. Don’t Hold the bar with a super wide grip. When you are buying a lat pulldown machine, the first thing to look for is an adjustable and comfortable seat which will help you perform your workouts better. Make sure that the seat can be adjusted to various heights. Check if the machine comes with weight stacks because if they don’t, you will have to buy them separately. Check if the machine has pull pins and pop pins which will help in the adjustment of weights and also in adding more weight. Primarily there are two types of plates, standard and Olympic. Make sure you buy a machine that is compatible with the plates you use or buy adapter sleeves which can help you use both the types of plates. A machine with a bottom pulley can help you complete seated rows and standing curls. Ensure that your machine has a bottom pulley which will work the muscles in your leg, back, core and arms. Lat pulldown machines come with warranties ranging from 1 year to lifetime. Buy one which comes with a lifetime warranty on the frame and at least a year’s warranty on the parts. Most lat machines come with useful attachments. Here are other additional attachments which you might need. The triceps rope will make your tricep pull downs very effective. Tricep overhead extensions can also be done using the triceps rope. The triceps bar or triceps v-bar also helps you work your triceps. You can combine the triceps rope along with the triceps bar to increase the intensity of your workout. Lat machines come with a standard lat pulldown bar. To have an alternate option you can buy the straight lat bar which will put more focus on your biceps. The single D handle can be used for single arm bicep curls, triceps pulldowns, lateral raise, cable row, etc. Using the double D handle, you can perform back rows which will work your middle back muscles. Most people feel that it is better to do lat pulldowns to the front rather than behind the neck, but I think both should be given equal importance. You can perform a variety of exercises using the lat pulldown machine. Here are the best lat exercises in my opinion. Straight arm pulldown: This exercise primarily works the latissimus dorsi, but it also targets the deltoids and the pectoralis major. Complete your rows and pull-downs and then perform this exercise. Underhand Cable pulldown: This exercise puts the lats in the strongest position for shoulder extension. Make sure that you pull with your back and not your biceps. V-Bar pulldown: This exercise internally rotates the shoulder during extension. Squeeze your lats at the bottom to do this exercise efficiently. Other exercises which you can try are close-grip front lat pull-down, v-bar pull-up and wide-grip lat pull-down. All these can help you get wider lats. There are a few alternatives of lat pulldown which you can try. Dumbbell rows, Bent-over barbell rows, landmine t-bar rows, barbell bent-arm pullovers and seated band rows are a few. A lat pulldown machine is a multi-purpose one. The best thing about this machine is that you can work a wide range of muscles which is not possible with any other machine. You can lift weights as well as perform intense exercises. If you want to have, a toned and sculpted body go ahead and add a lat machine to your home gym.